Founded in 1995, Youth Alive is a multi-cultural community based arts program providing arts and educational opportunities to young people 8-18 years of age. The dance forms include Step, African and Hip-Hop. Along with a band and bucket drummers. On March of 2013, a dozen high school-age members of Youth Alive auditioned at the Apollo Theater in Harlem for a spot in the spring lineup for Apollo’s Amateur Night live show. Prior to that the group has also did a preliminary audition for the NBC television show, “America’s Got Talent.” Back in November of 2012, Youth Alive Step Team member Michelle Atiemo also did an impromptu step routine from the audience of the CNN show “Anderson Live!” A video of her performance and interview can be seen by clicking here. 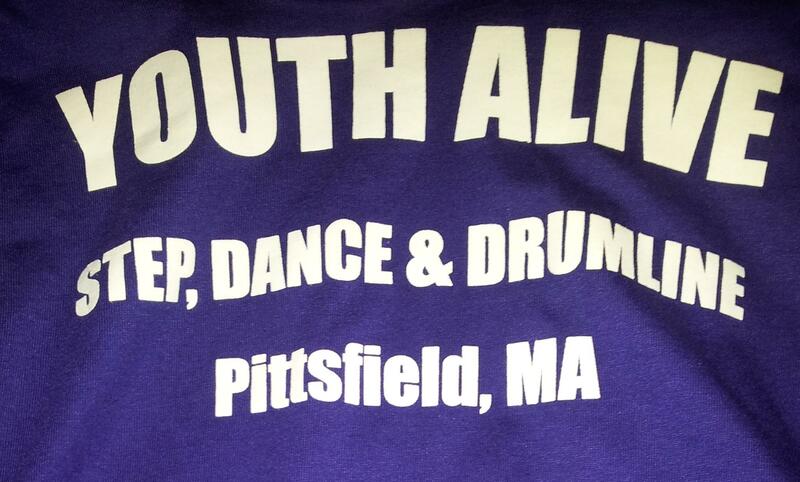 You can always hear the group’s drums and steps at many of the local community events in the Berkshires. Make sure to follow Youth Alive’s Facebook page to stay up-to-date on their latest happenings by clicking here. Below is a bio film put together by Youth Alive alumna Michelle Atiemo in 2011. Enjoy!